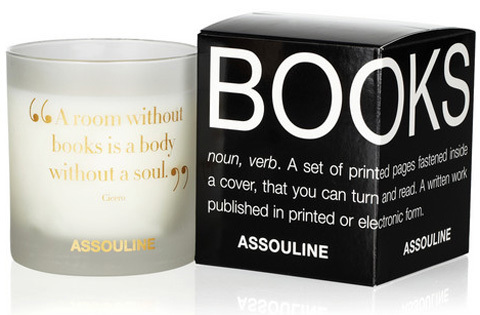 Created by one of the world’s sensory experts, the light, extra-fine perfumes of this candle evoke the atmosphere of your fantasy library, and the pleasure of reading, through the enigmatic scent of paper. A trip to your favorite library or used bookstore. Sweet and lovely with just a touch of the musty smell of aged paper, Demeter’s Paperback harnesses that scent with a sprinkling of violets and a dash of tasteful potpourri. Paddywax’s Edgar Allan Poe room diffuser offers a soft warm woody fragrance of sandalwood and is enhanced by the earthy, sensual notes of patchouli and sweet aroma of absinthe. Regardless of whether you download your e-books from the Kindle Store or Project Gutenberg, New Book Smell will bring back those long lost memories of your favorite local bookstore. With New Book Smell your friends will never know that you’re reading an e-book. 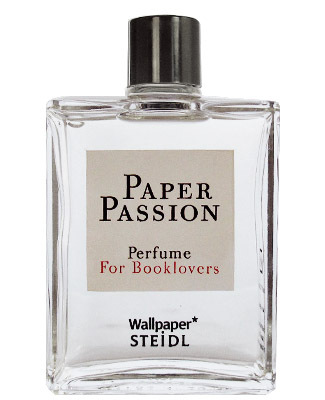 Paper Passion Perfume captures the unique bouquet of freshly printed books. Designed by boutique perfumer Geza Schoen in close consultation with Gerhard Steidl and in collaboration with Wallpaper* magazine, the perfume expresses that peculiar mix of paper and ink which gives a book its unmistakable aroma, along with the fresh scent which a book opened for the first time releases. Deep, earthy and warm; a blend of walnut, green sage and chestnuts. Antiquated leather-bond volumes of handmade papers and parchment permeate and seduce the senses. The scent is an earthy, slightly sweet smell with a hint of must. (Not mildewy, rotten old books!) It’s cozy and will make you want to curl up with your favorite Classic. 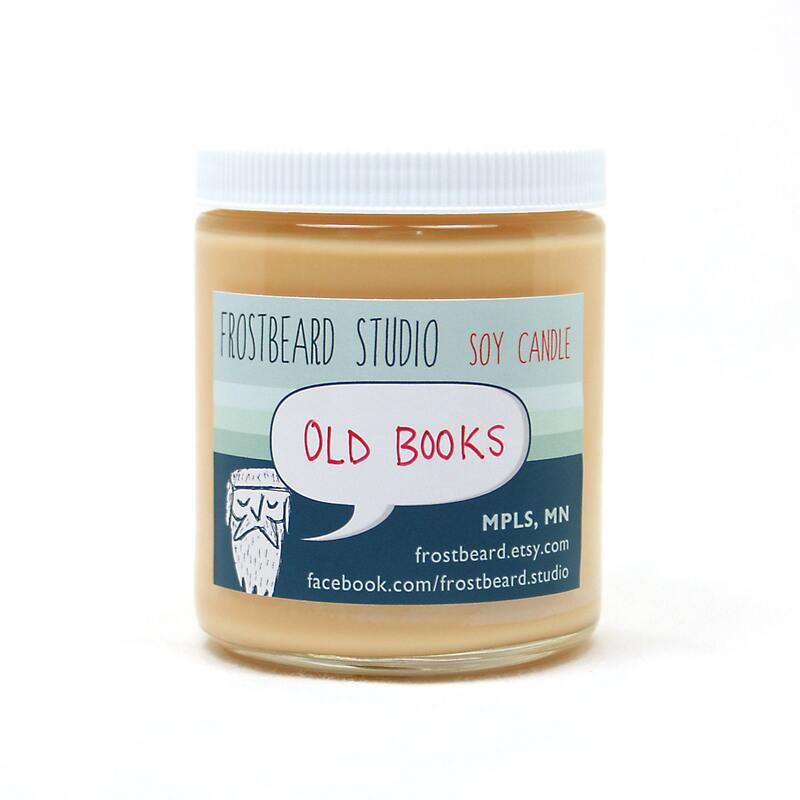 This Library scented 4 wick candle is a smokey blend of wood with amber and the soft warmth of moss to give depth and mystery, a perfect aroma for any living area to relax and indulgence your senses. In the Library is a warm blend of English Novel, Russian & Moroccan Leather Bindings, Worn Cloth and a hint of Wood Polish.